TULSA — Two deputy U.S. marshals shot a man, killing him, while trying to arrest him in Tulsa on a felony warrant Monday afternoon, authorities said. The slain man was identified as Jeremy Edmonds, 42, Tulsa Police Sgt. Brandon Watkins said. Deputy U.S. marshals, Tulsa County sheriff’s deputies and Tulsa police officers were on Louisville Avenue, between Harvard and Yale avenues, just north of Interstate 244 when the shooting occurred about 2:30 p.m., police spokesman Shane Tuell said. Police officers were providing security around a perimeter while sheriff’s deputies and deputy U.S. marshals were serving the felony warrant for assault and battery/strangulation when the shooting occurred, authorities said. 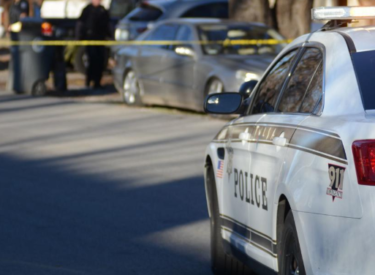 Clayton Johnson, U.S. marshal for the Northern District of Oklahoma, said two deputy marshals shot the suspect for whom the warrant was being served by the Northern Oklahoma Violent Crimes Task Force. Johnson said he was not at liberty to discuss whether the suspect was armed or how many shots were fired, but he confirmed that more than one shot was fired. Tulsa Police Department homicide detectives are investigating the shooting, Johnson said. Tulsa police Sgt. Brandon Watkins said the shooting is Tulsa’s second homicide of 2019.